Czechs love beer. They consume 160 liters per year each, making them No. 1 – ahead of Germany and even Belgium. What is the connection between this huge beer consumption and the national identity of Czechs? First of all, it has to do with tradition. In the Czech Republic, beer is even cheaper than water because it is taxed at a low rate. Rail meets friends at pub Pivovarsky Klub in Prague for draught beer, including Pilsener Urquell, a blonde lager that most Czechs favor. One recent trend is microbreweries. The Czech Republic has more than 100 microbreweries, many of them were established only in last few years. Some even brew in pubs. One of the oldest breweries in Czech Republic is U Fleku, founded in 1499 and the only one to work during the communist era. 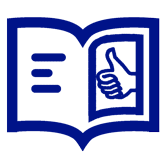 Guided tours are still given there several times a day in English, Czech or German. In 1762, Jakub Flekovski took over the brewery and because his name was too long, he got the nickname Flek. In the Czech Republic there are a lot of small festivals in small villages. At the main beer festival in Prague, there is a huge variety of different sorts of beer and also a large music and entertainment program. The three best-known Czech beer sorts are Pilsener Urquell, Staropramen and Budweiser. But if you want to test something new you have to visit Pivovarsky dum in Prague. It is popular with many tourists, because you get really unusual beer here: banana beer, coffee beer, cherry beer and even stinging nettle beer. Czech beer is popular in Ukraine, too. In the mind of many Ukrainians, the number one brand is Staropramen, brewed in Kharkiv and Chernihiv by Sun InBev Ukraine. 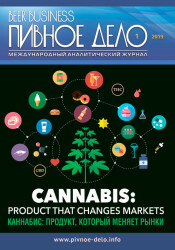 According to Journal.Beer, a Kharkiv-based publication covering Ukrainian and Russian beer markets, Staropramen became the most accessible licensed brand in Ukraine, mainly due to its reasonable pricing and successful advertising campaign, promoting its softness in a series of videos set in picturesque old Prague settings. Another licensed Czech beer brand is Velkopopovicky Kozel produced in Donetsk by Miller Brands Ukraine, a subsidiary of SABMiller, which occupies the premium segment, and, according Journal.Beer experts, is the only brand to threaten the Staropramen monopoly for Ukraine-produced, licensed Czech beer. 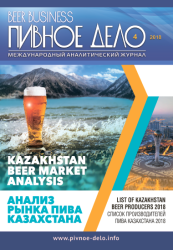 According to Valentin Boinitsky, Corporate Affairs Manager of Miller Brands Ukraine, the niche for Czech beer in Ukraine is not huge – up to about 3 percent of the total volume of the beer market, valued by Journal.Beer at nearly $3 billion annually. He adds, however, that it is one of the most prominent “national niches” in terms of positioning beer brands. “Some brewers even produce pseudo-Czech brands, that mimic the Czech beer in label design and naming, but apart from that have hardly any relation to any real Czech brand,” Boinitsky said. When it comes to the imported beer that Ukrainians drink on tap at the restaurants, arguably number one choice for those who want their draft Czech is Krusovice. 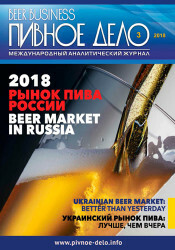 Even though the exact volume of this brand that Ukrainians consume seems to be a closely guarded secret, its brand manager Pavlo Maximov said that the Czech beer school, with its accent on softness and exceptional quality of water, often appeals to Ukrainian bar-goers even more than German beers, with their accented beer taste.